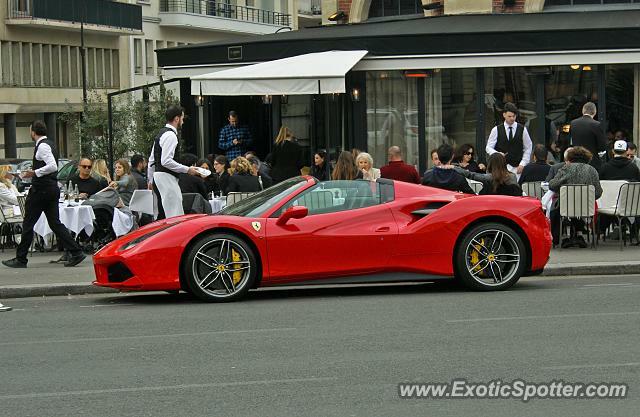 I spotted this 488 Spider in front of the "brasserie le Flandrin". If you walk at lunch time or at dinner time, you always have nice cars that are valeted in front of the restaurant! My ideal car and spec. Nice.